Very well said, Carl. What a fantastic example of character Jalen is. The youth of this country could learn a great deal from him. Writ his name in Crimson flame. 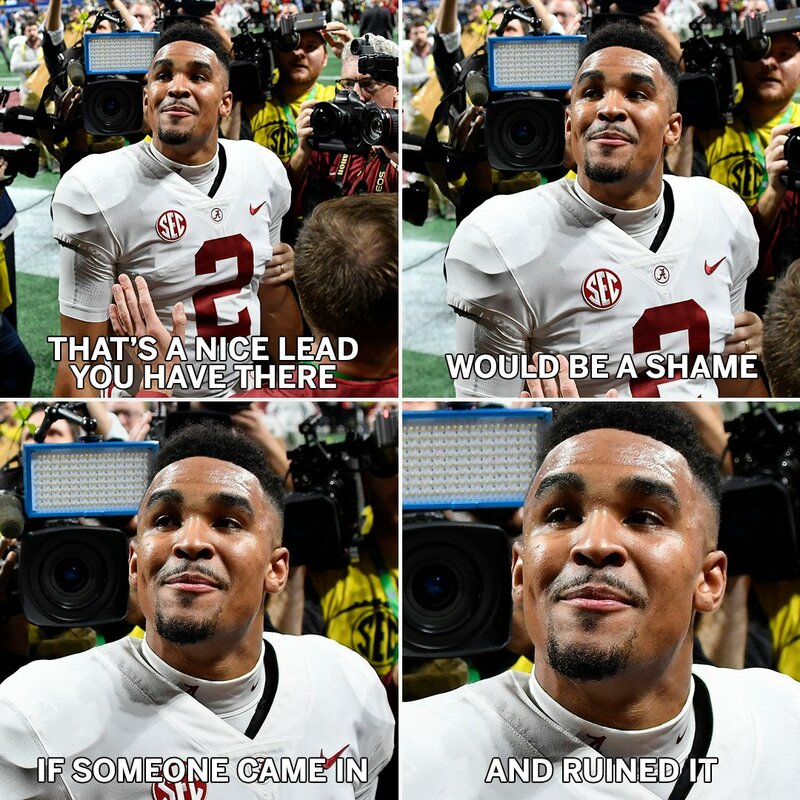 Jalen's not a bad quarterback, either! Absolutely agree. Jalen will be remembered as one of the special ones to to wear the crimson and white. As a matter of fact, Jalens hand and cleat prints should be imortalized at Denny Chimes. Kudos @JalenHurts - life & this game is a process/journey - filled w/ setbacks & triumphs - but too often ppl miss some of their greatest triumphs by giving up after the setbacks!! 1 of greatest assets ANY person can have is “perseverance”! well done young man, enjoy the moment! Well done young man. You proved this day you are a cut above all the others. RTR! 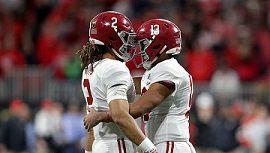 "You, Jalen, didn't give up on yourself, your team, or your school." What does the future hold? You may see this young man roaming the sidelines one day here on the Capstone! RTR! I've heard Jalen wants to coach. There's no better coach in America than Saban. And Jalen has a front-row seat.